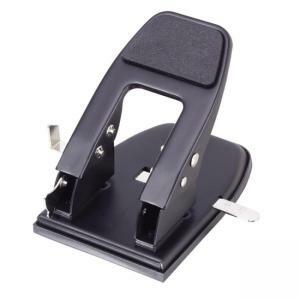 Heavy-Duty Two-Hole Punch offers padded lock-down handle and punches 1/4" holes in up to 50 sheets of 20 lb. paper without the threat of jamming. Features adjustable paper guide and sturdy metal construction.